Who else loves this time of year for the chilly temperatures and crisp air? With the cooler weather comes the need for all the layers, which makes me terribly happy. Over the years, I've found that I love versatile layering pieces that can be taken from the comfort of home to the outdoors for winter days spent in the snow. 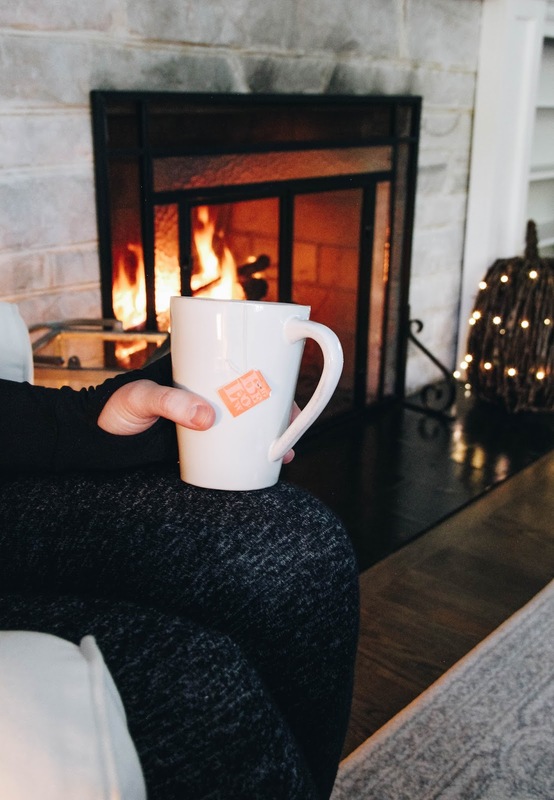 But my absolute favorite way to wear layers is at home, fire crackling, book in hand, and hot cocoa or tea just in reach. I love lounging in comfort clothes, and Cuddl Duds gives me just that! Confession: I live in love leggings. Give me a long tunic + leggings and I'm a happy camper. From the comfort to the flexibility, I can't get enough. And y'all, these leggings have the most amazing waistband, which I can't rave about more. They lay so nicely across my waist, creating no "stuffing" effect. Can we all say amen to that? 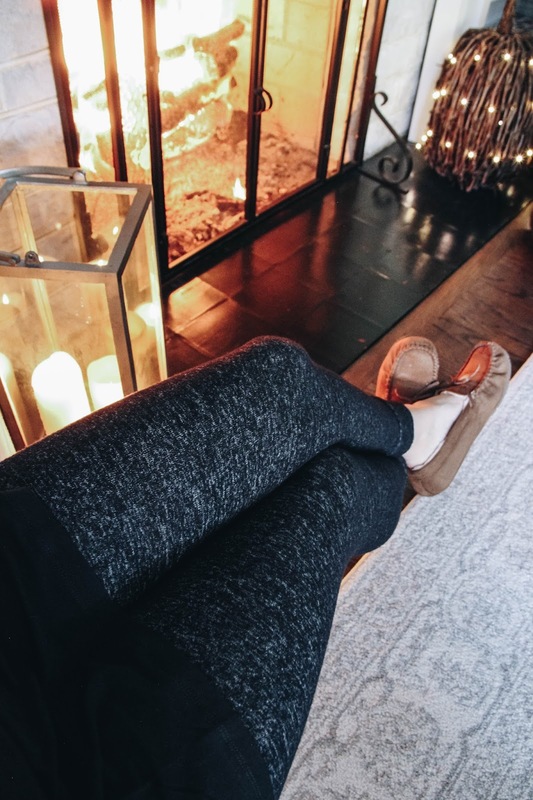 Let me give you a little history of me and these leggings, because we go way back. During my freshman year of college, I happened upon a pair of Cuddl Dud leggings, that became my very favorite. So much so, that I bought two more pairs and still wear all three to this day. Most of the time, you can catch me in my Cuddl Dud leggings at home with a long tunic or an over-sized sweatshirt. But, I also found they make great leggings for layering under pants. They are thin enough so as not to be bulky, while also providing the warmth you need while out and about. 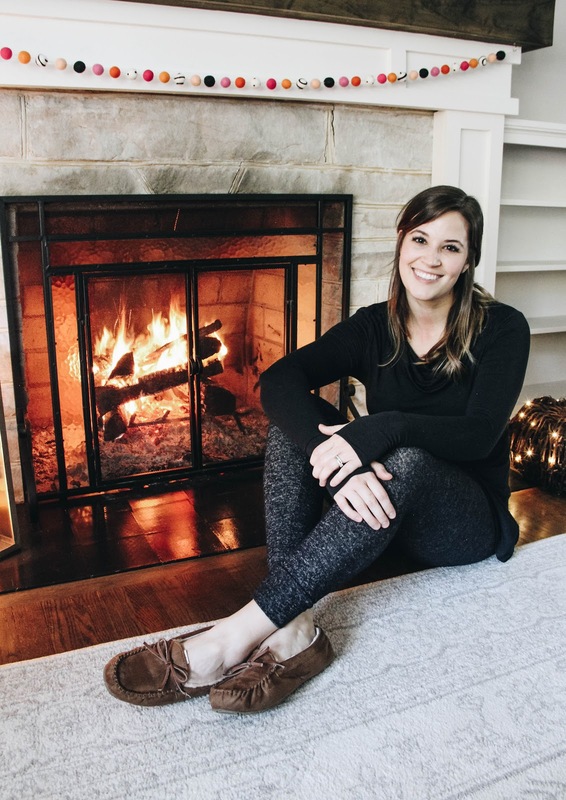 Maybe you're cheering on your favorite football team or tubing in the glistening snow, whether it's snow pants or jeans you're sporting, the Cuddl Dud leggings fit under both. It's a dream! I grabbed up these Soft Knit Marbled Charcoal Leggings to pair with a Softwear Cowlneck Tunic (that has thumb holes!!) for comfy days at home. And I couldn't be more pleased! Be sure to grab $10 off of a $40 or more purchase from 10/27 - 11/7 at Kohl's! 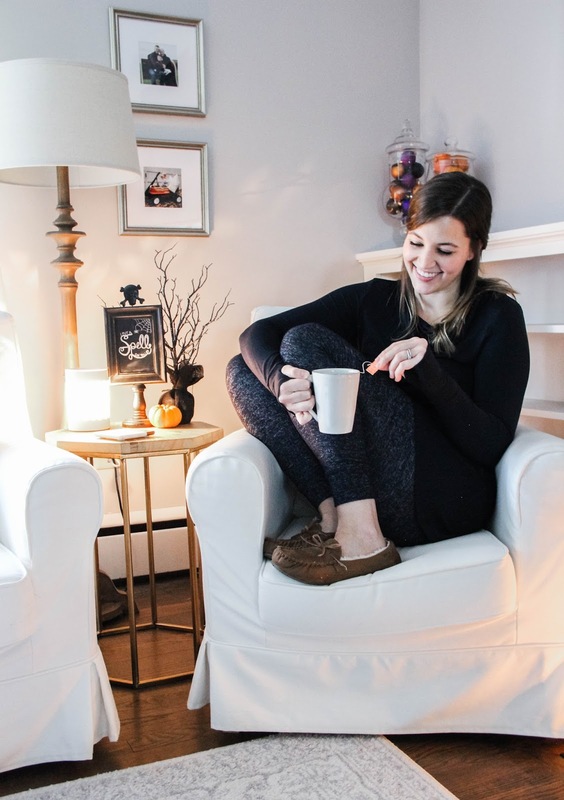 And to get a little glimpse of how we get cozy and comfy at home on a fall weekend, check out the short video below! CLICK HERE TO SHOP CUDDL DUDS FROM KOHL'S.